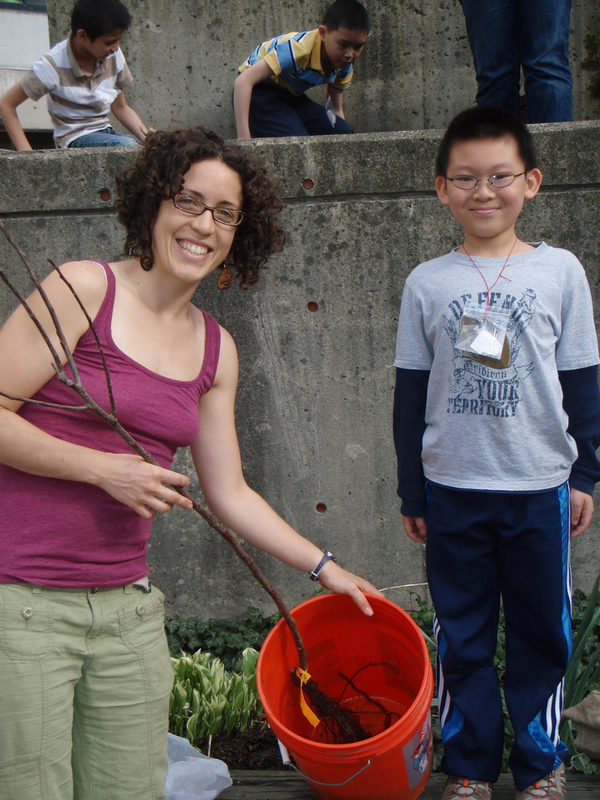 The first place we saw a Boston Tree Party apple tree was on the Rose Kennedy Greenway. The Greenway was the site of the organization's inauguration in April 2011 with "a marching band, speeches, flags, buttons and banners" akin to a political party. The organization is also modeled on a political party with delegations (more later) and conventions. 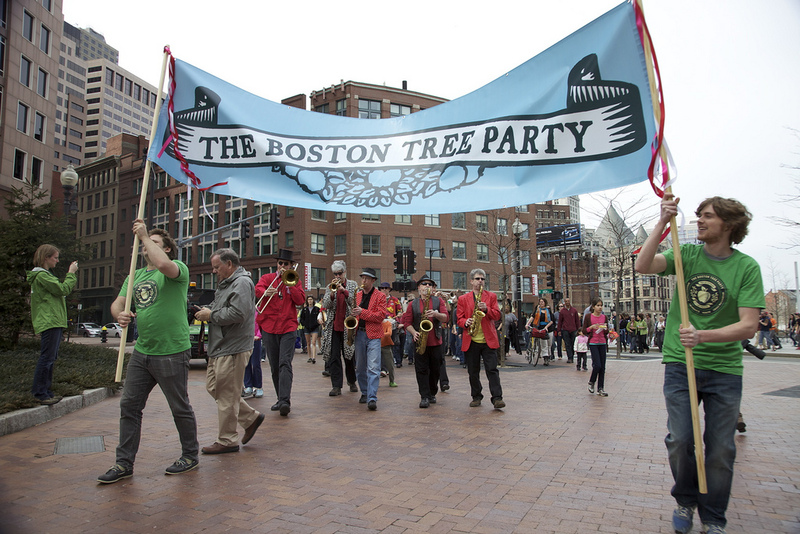 The Boston Tree Party was founded by Lisa Gross as her thesis project for her MFA degree from Tufts and the School of the Museum of Fine Arts. 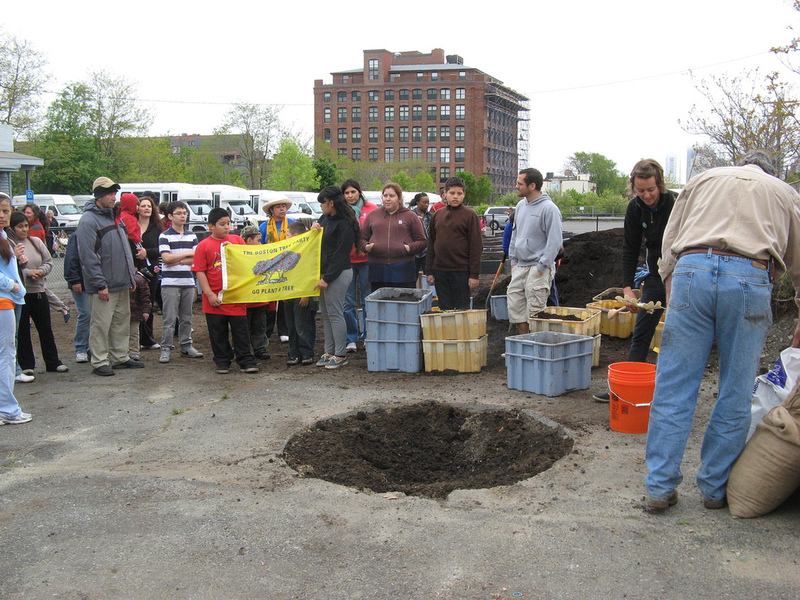 Last year, the Boston Tree Party planted 70 heirloom apple trees (or 35 pairs) with over 50 different communities. In four years, these 70 trees can produce 10,000 - 15,000 apples per year. Need more wow? An apple trees can live between 50 to 100 years -- that's a lot of apples! If you are wondering why the apples are planted in pairs here's the explanation: apples require heterogeneous pairs to cross-pollinate and bear fruit. Would you like to see one of the 35 pairs? 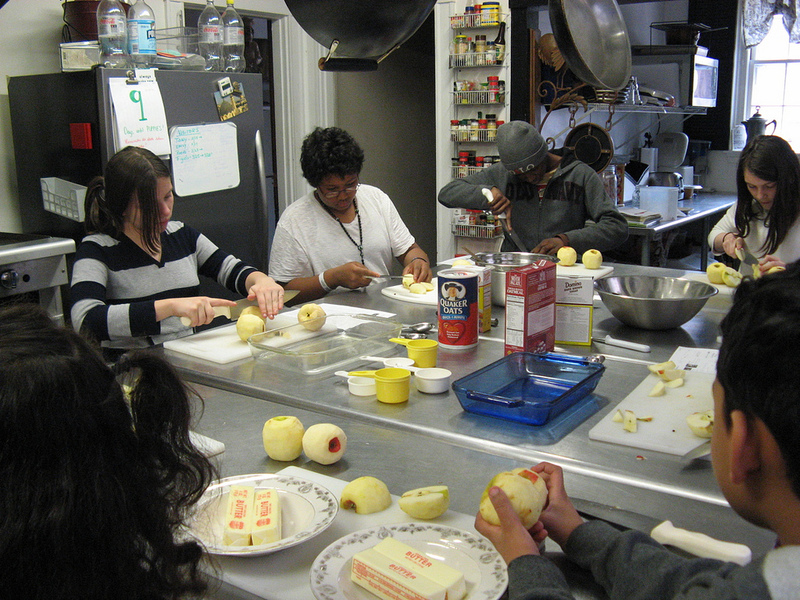 Visit Carney Hospital in Dorchester, the deCordova Sculpture Park and Museum in Lincoln, Grand Familias – a low-income housing community for grandparents raising grandchildren--in Dorchester, Harvard University’s Student Garden, First Church in Somerville, or the Boston Latin School on the Fenway. 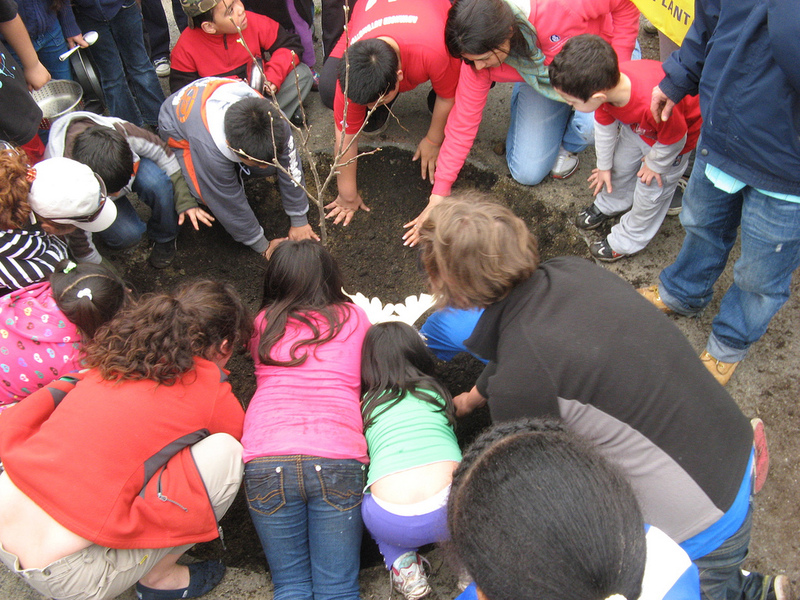 Community groups interested in planting pairs of apple trees aka "delegations" must meet several requirements (access to two pieces of land that are each 15’ in diameter with well-drained soil and receive 6-8 hours of sun per day and no more than a "medium" level of lead; access to a water source; and "the passion and commitment to care for these trees"). Each delegation pays $325 for a kit of materials including "two semi-dwarf apple tree whips of New England heritage varieties". Delegations receive support from the Apple Alliance which offers "free and low-cost organic fruit tree workshops". We would like to see a list of the courses on offer -- and assume they would cover planting, pruning, harvesting, cooking, and even preserving. The 2012 deadline for applications is April 15th and interested schools, churches, businesses, libraries, health centers, clubs & civic organizations, neighborhood/homeowner associations, etc. should contact Amory Sivertson: Amory at bostontreeparty.org. If you've got apples, try baking the Boston Tree Party Apple Pie.